Q. In what denomination(s) can I buy Gift Certificates? A. Gift Certificates may be purchased for amounts from $1 to $500. Q. How long is the Gift Certificate valid? A. Gift Certificates must be redeemed within one year from the date of purchase. They are redeemed for Store Credit. 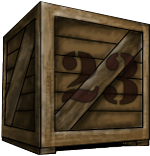 The recipient must have – or open – an account on Warehouse 23. Q. Can I buy multiple Gift Certificates? A. No, you must make a separate transaction for each Gift Certificate. Q. What does the recipient receive? A. Your recipient(s) will receive an email with details on how to redeem their Gift Certificate. Q. Must I pay sales tax on the Gift Certificate? A. No. Sales tax, if applicable, will be charged when the Certificate is redeemed. Q. What can be purchased with my Gift Certificate? A. The Gift Certificate is good for any merchandise, physical or digital, on Warehouse 23. It may also be used to cover shipping charges. Q. May I give my Gift Certificate to someone else? A. No, the Gift Certificate in not transferable. Q. May I redeem my Gift Certificate for cash? A. No, the Gift Certificate can only be redeemed for Store Credit. Gift Certificates may not be used to purchase other Gift Certificates. Q. What if the total of my order is more (or less) than the value of the Gift Certificate? A. If a purchase exceeds your account credit, the remaining amount must be paid using another payment method. Any Store Credit remaining must be redeemed within one year.